Officials emphasized the positive after the two countries’ last meeting of Obama’s tenure. But the coming Trump era hung over the talks. If the trade relationship deteriorates, one of Beijing’s options is to close a door only recently opened into Chinese capital markets. 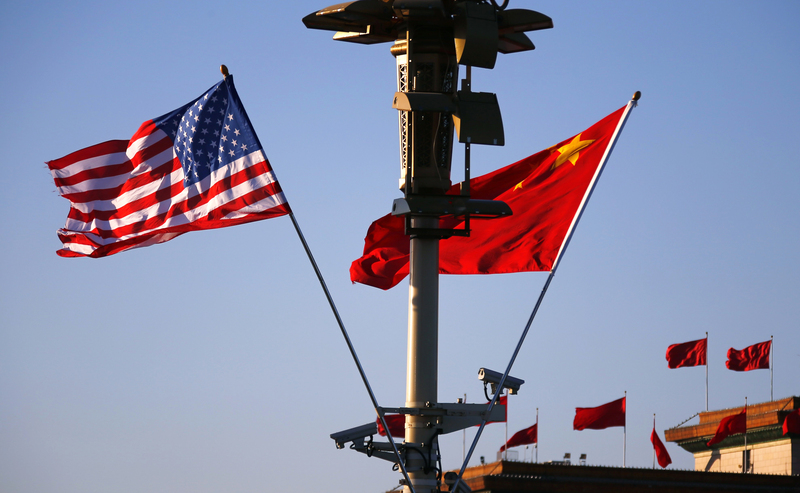 U.S. (L) and Chinese national flags flutter on a light post at the Tiananmen Square ahead of a welcoming ceremony for U.S. President Barack Obama, in Beijing, November 12, 2014. The 27th session of the U.S.-China Joint Commission on Commerce and Trade concluded on Nov. 23 in Washington. U.S. Trade Representative Michael Froman, Commerce Secretary Penny Pritzker and Chinese Vice Premier Wang Yang were among the participants. As part of the talks, China agreed to strengthen oversight of government procurement of medical devices to ensure foreign products are treated in a fair manner. The two countries also agreed to push for the quick establishment of a forum for discussing excess capacity in the global steel industry. Separately in June, China agreed to give U.S. institutional investors direct access to Chinese financial markets to purchase stocks and bonds. U.S. firms will have a 250 billion yuan ($36 billion) quota for such investments.